London, San Francisco, July 6, 2018: Digital Shadows, the experts in digital risk management and relevant threat intelligence, is today celebrating being announced as Europe’s Hottest Cyber Security Company in this week’s Europas Awards celebrating European Tech Startups. The Europas is held in partnership with TechCrunch. 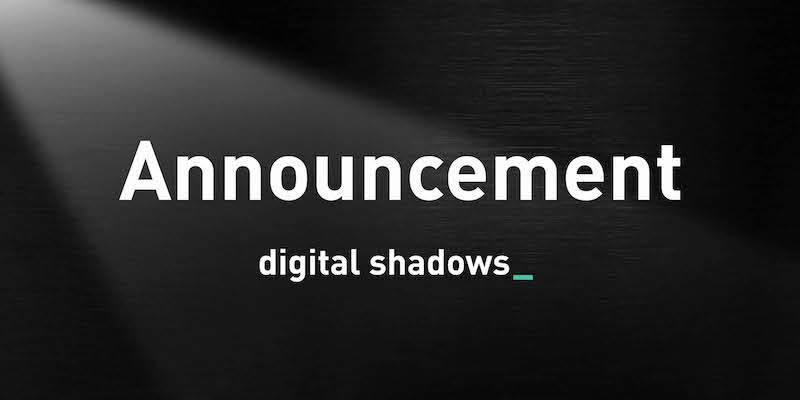 Founded in 2011, Digital Shadows supports more than 200 organizations on a global basis, protecting them from digital risks. The company now has offices in London, San Francisco, Dallas, Singapore and Germany and employs almost 200 people. Last year it completed its Series C funding round bringing the total to $49m invested since founders Alastair Paterson and James Chappell set up the business in London. The Judges at the Europas Awards on Tuesday night in London awarded Digital Shaodws the title of Hottest Cyber Security Company and suggested: ‘A cyber security powerhouse straight out of Europe’.